well, my friends... i have to catch you all up with everything that has been going on behind the chickadee chickadee scene over here on the blog, because it would take up way too much space on the facebook page! so, i had planned to sew sew sew through until the end of january and then start preparing spring and summer items to showcase to you all once i returned from the beach in early february. you all have been patiently asking "when?" and i am sorry that my response has been so late. but i think you will understand why i had to stall the explanation! we found out in the middle of january that baby three was well on the way. the news took us by surprise--by pleasant surprise though! right after we found out the storm blew in and the sickness took over. it was so hard for me to find time to sew when all i did during the girls' naptime was nap and all that i did once they went to sleep for the night was, well to sleep then too! and if i wasn't sleeping, i was trying hard to ignore the nausea while trying to keep down oyster crackers... so if your orders took a bit longer than anticipated and if your requests went a day or so without response, that was why. you can read more about the last month and a half or so and what it has taught me over on my family's blog, but in short...this pregnancy has shown me what i have known but tried to ignore for a while...trying to juggle my faith, husband, children, laundry and household stuff and a time-consuming hobby-turned-business is hard. and it is becoming almost impossible. i want very much for it to work. it is so fun and rewarding to sew for you all. 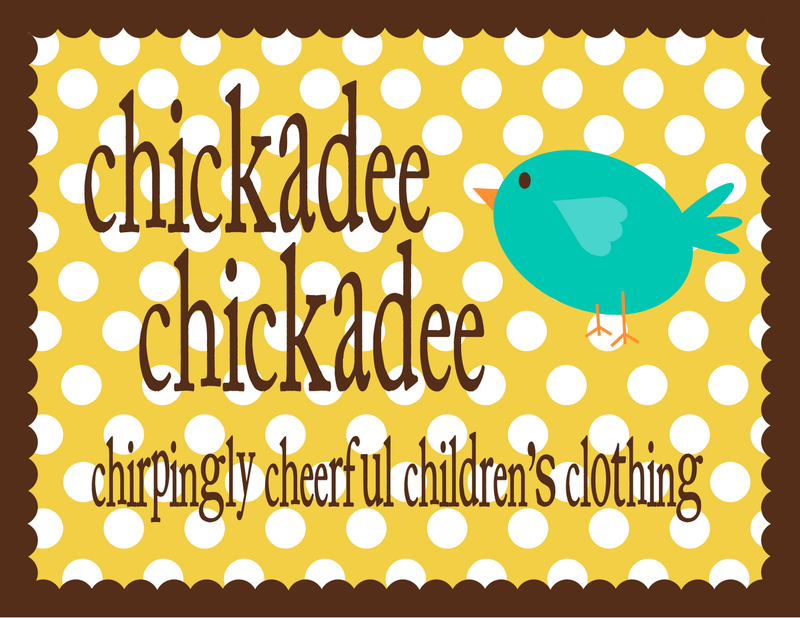 i love seeing your little ones all dressed up in chickadee chickadee. i love their smiles! so i can't give up on this endeavor altogether just yet. but i am going to have to rework some things so that it fits in with my family life a little better. so here's the plan...and we'll see how it goes! every week i will announce a style of clothing i will be working on for the next little while. so for instance this week, i will take a limited amount of orders for collage dresses. 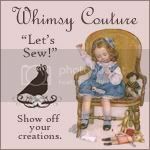 next week, perhaps it will be double ruffle pants and then the following week, ruffle skirts or bubble rompers... i will also post a few photos of fabrics that i can work with to create those items. the fabrics will change weekly too. some will be favorites and bestsellers from the etsy days and some will be brand new combinations! to claim a design, just comment under the facebook post with your paypal address, size and fabric choice. i will then send you a paypal invoice and get in touch with you about any other requests you may have. because i will only take on about six to eight orders each week, you might have to be quick with your typing! i hope to be able to work quickly on these orders and if time remains, i might open up some more slots for custom requests and other fun things! i hope to be consistent about the time when i offer items unless it seems that those on the west coast are missing out on everything...then we might have to change things up! so there you have it, friends. an explanation and a plan. hope it sounds alright to you! i am excited! thanks again for joining me, as always. you all have made it a very fun ride!